Antibiotics may save lives, but that doesn’t apply to the toxic stuff you get at pharmacies. Actually, the ones that are synthetic aren’t even able to fight viruses as they are only made to fight bacteria, fungi and parasites. Remember to always ask a doctor whether it is okay for you to use these as addition to your treatment. They help with infections, sore throat, Escherichia Coli, H. Pylori etc. 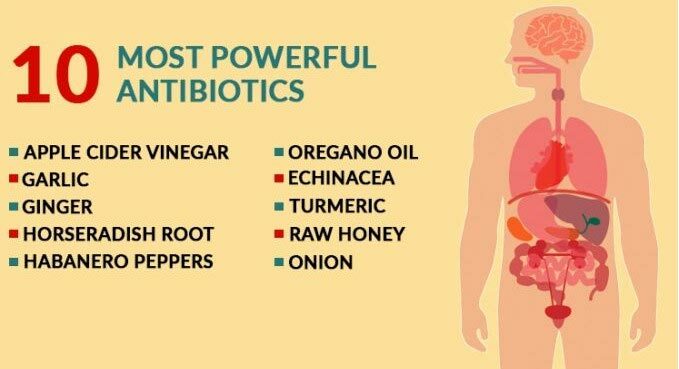 Natural antibiotics are good supplements in stopping diseases but always do consult your doctor about the dosing and the side effects they can have on your organism.